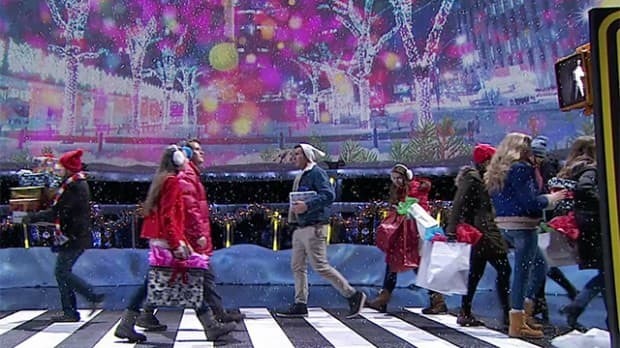 Christmas Crosswalk: Can you solve these holiday challenges? Can you solve these three holiday challenges from the season finale of Canada's Smartest Person? Watch the season finale online for the answers! How many people are carrying presents? How many people are wearing red coats? And how many people are crossing from left to right? Watch the season finale online for the answers!